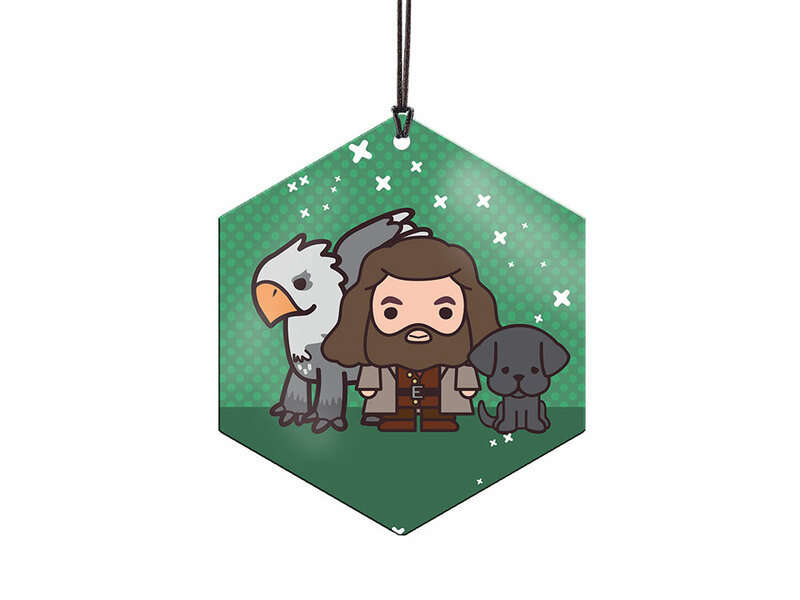 Little Chibi Hagrid and his sweet little buds, Buckbeak and Fang. 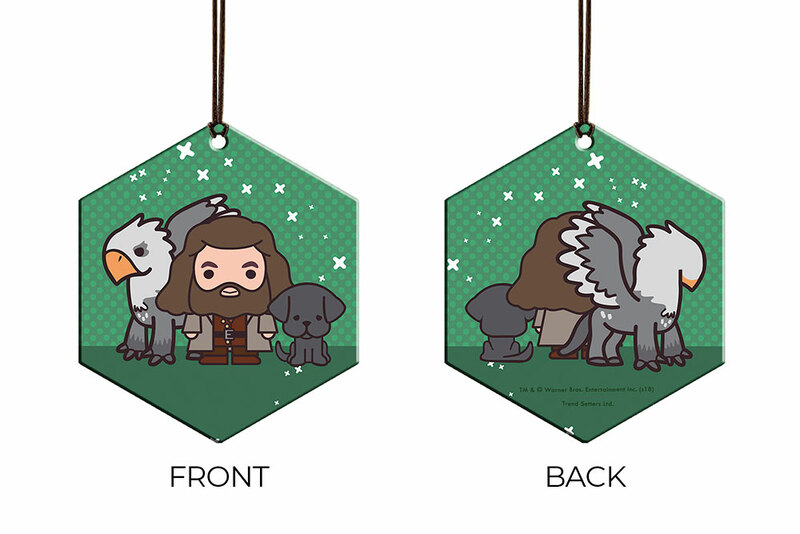 Good boys. 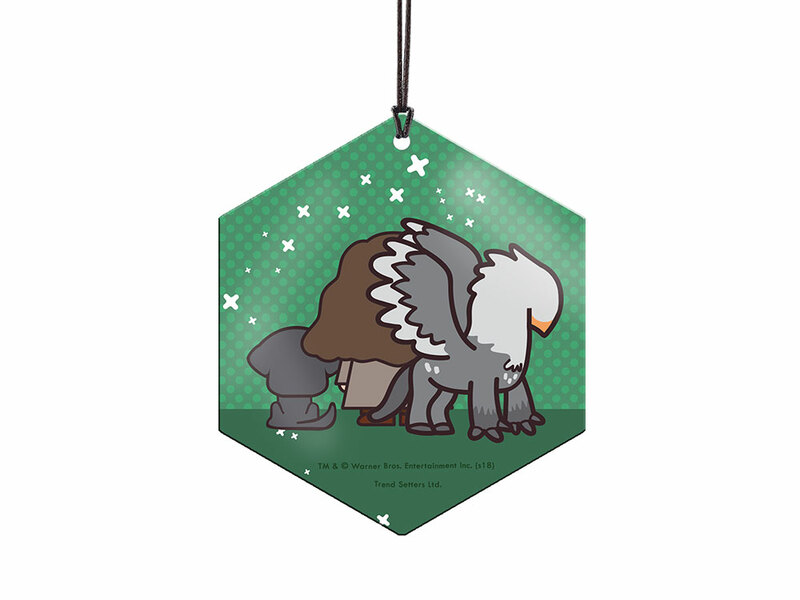 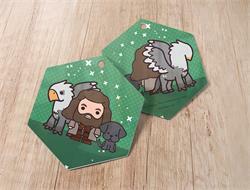 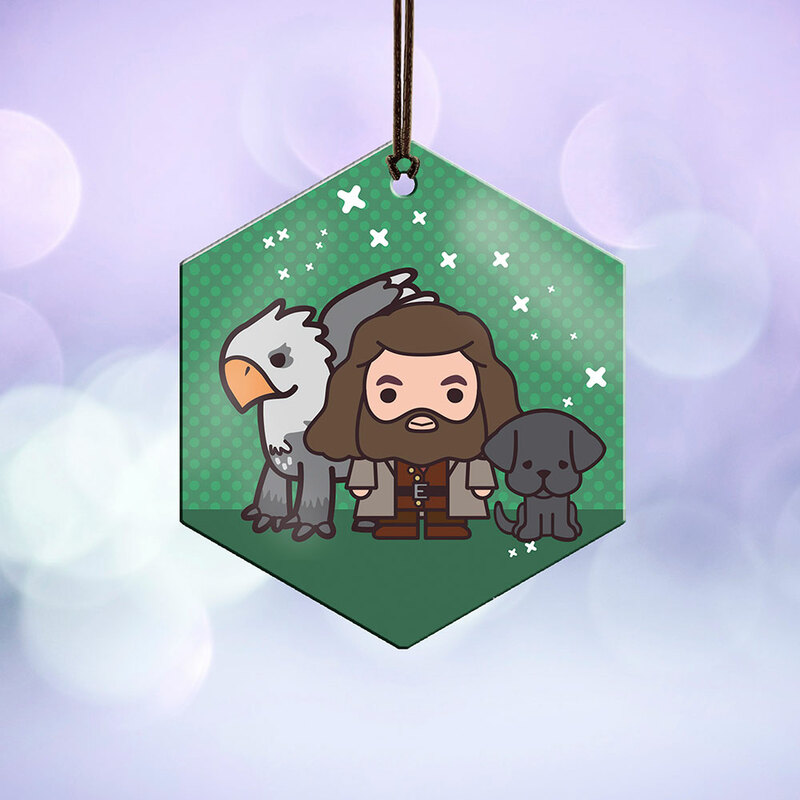 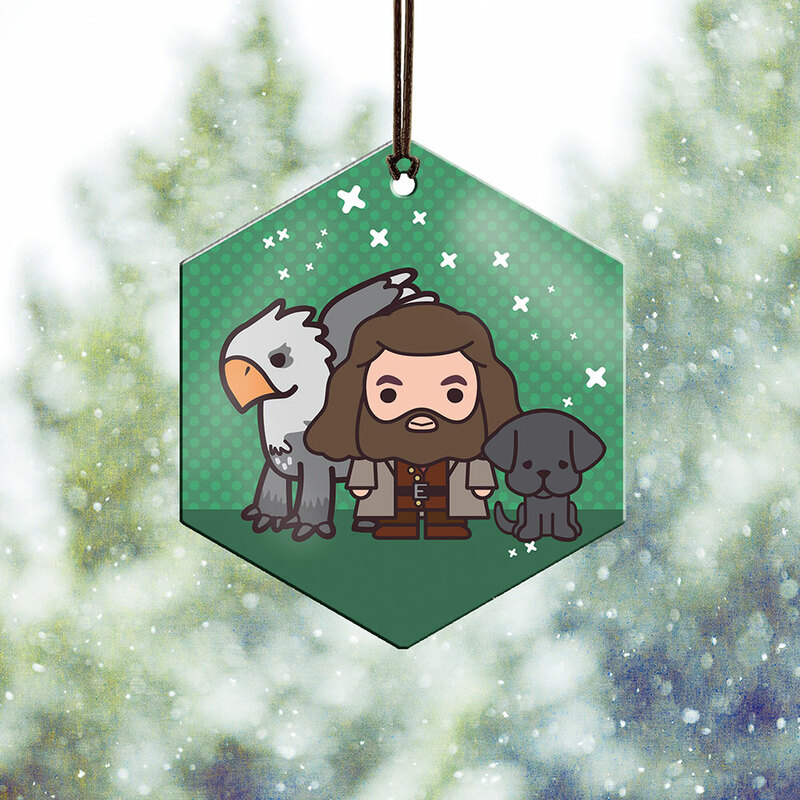 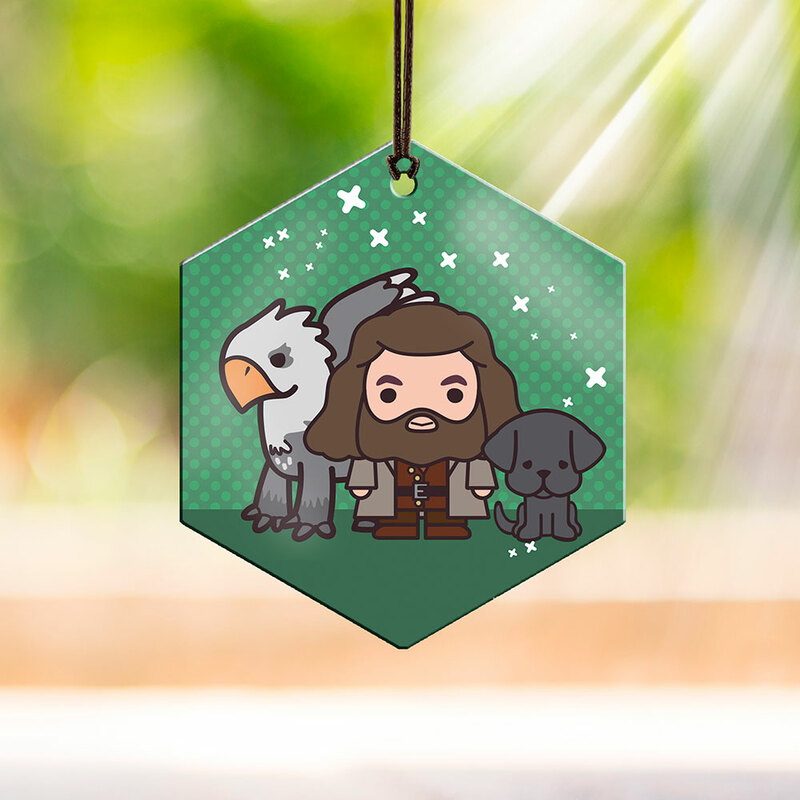 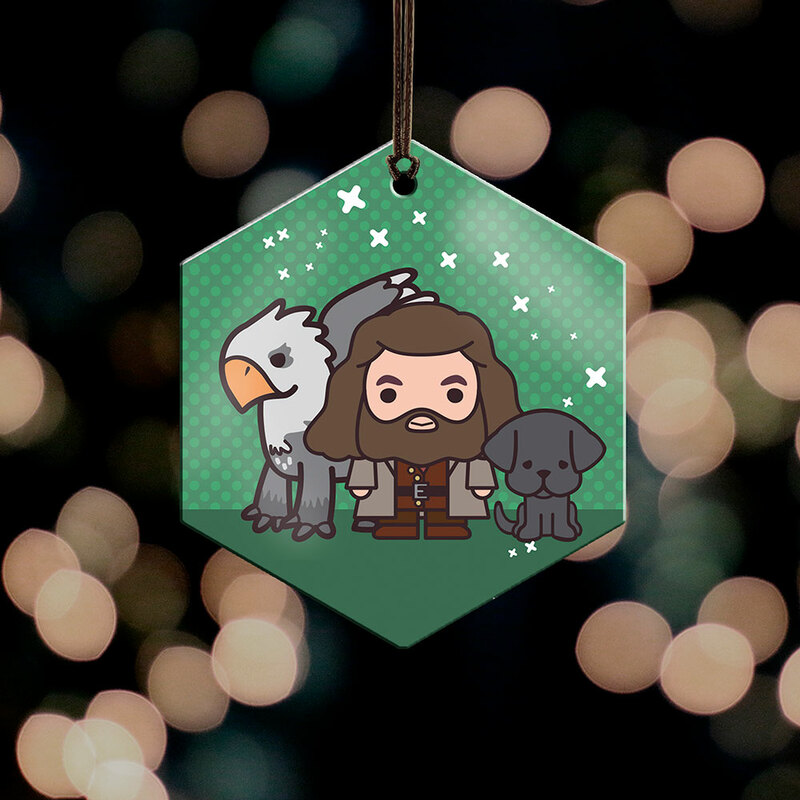 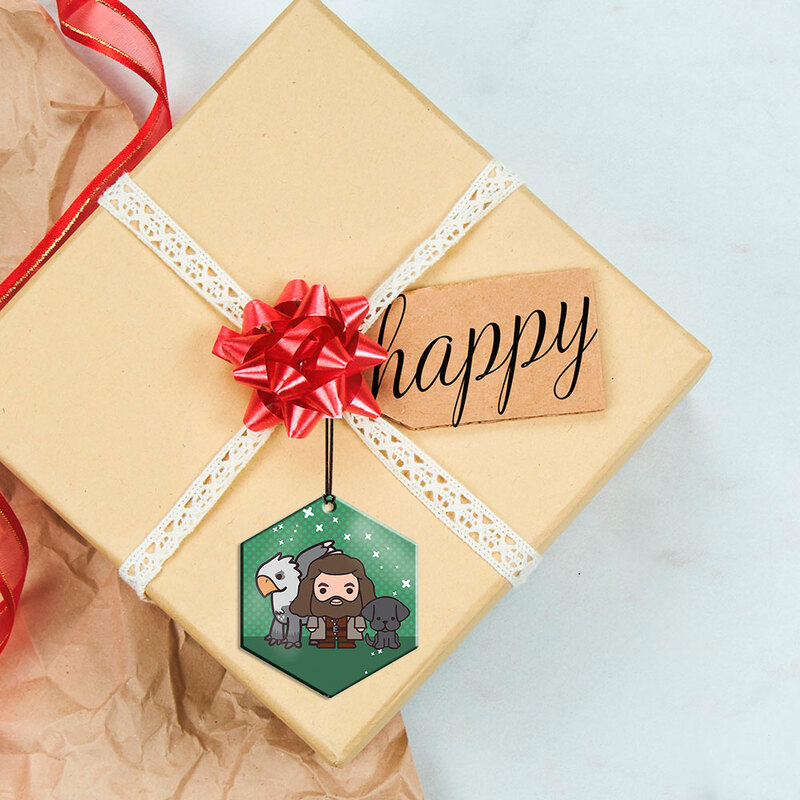 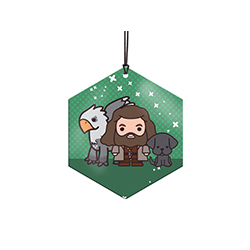 This vivid metal hexagon-shaped decoration features Hagrid and two of his favorite beasts in adorable chibi style. 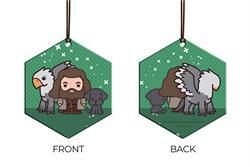 On the backside is, well, their backsides!